The bedroom is the most intimate room of a home. It’s more than just a place to lay your head, it is a sanctuary where you can kick back, recharge, and be yourself. If your apartment interior design is plain, now’s a good time to give your sanctuary a makeover. 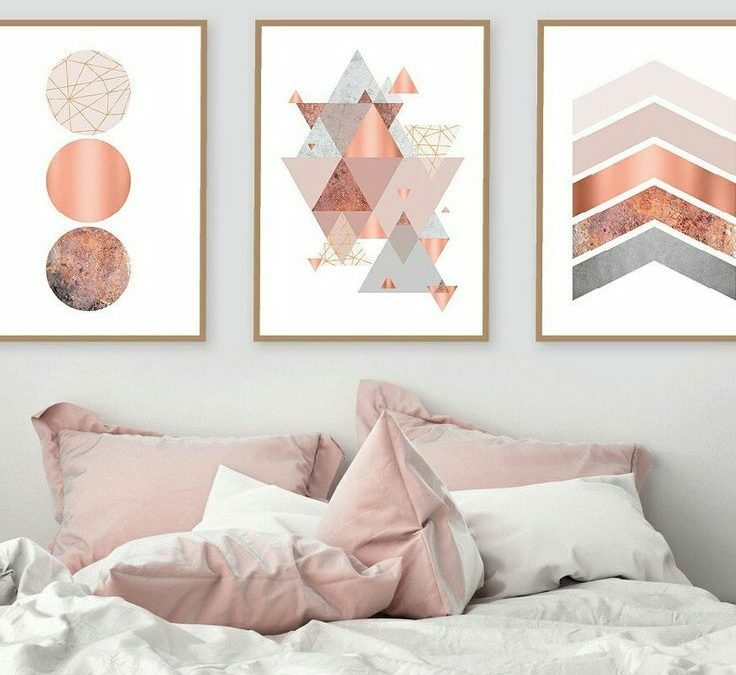 Updating the walls is one of the simplest and easiest ways to bring new energy to the bedroom! The bedroom makes a terrific starting point for design experiments because it’s a private room. You can play with different looks, patterns, and try out unabashed designs that you might otherwise shy away from! Temporary wallpaper is similar to conventional wallpaper except it’s much easier to install and remove. For one thing, it does not require paste and water to apply. When you’ve grown tired of the design, removing the temporary wallpaper is so much easier than conventional wallpaper. The adhesive doesn’t leave a sticky residue on the wall. Temporary wallpaper allows you to update the bedroom without the commitment. You can experiment with different looks and have fun with different colors and patterns. The best part? 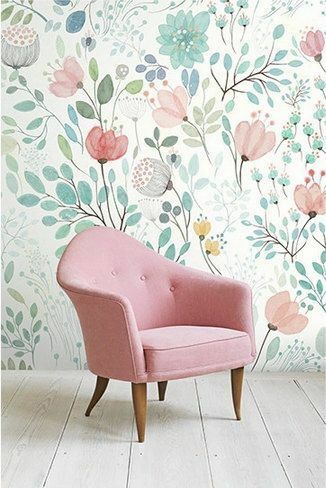 Temporary wallpaper is so affordable! Whether you want bold prints or demure hues for an accent wall, temporary wallpaper offers flexibility and easy styling to reinvent the bedroom. Want to give your plain bedroom interiors a touch of country, weathered vibe? 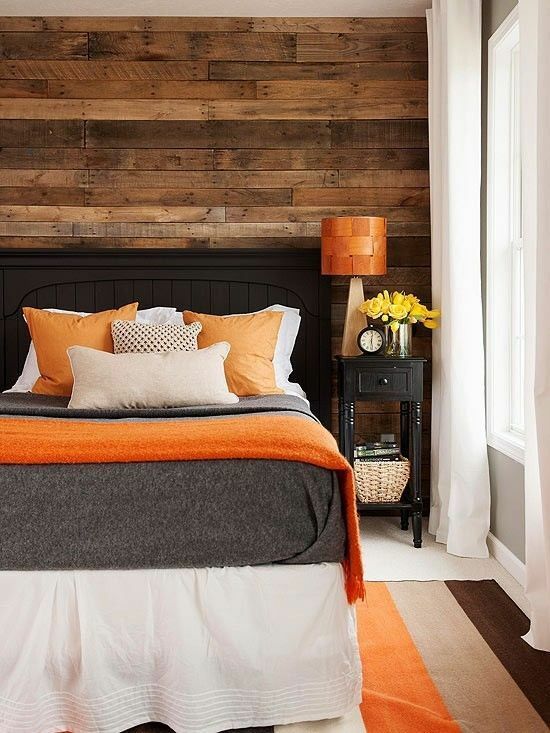 Make your accent wall standout with wood panels made from reclaimed wood. The wood panels have an adhesive side that you simply stick to the wall. Since installation is a breeze, you can perfect that shabby-chic, rustic look you want without much effort. Most stick-on wood panels are made from reclaimed wood so they are eco-friendly too! Just like temporary wallpaper, stick-on wood panels are quite affordable. You can create a warm, inviting bedroom without spending more $$$ for your accent wall. Glass and ceramic tiles may be unconventional materials for an accent wall but the final look is nothing short of stunning. Regardless if you’re tiling just a small part of the bedroom or the entire walls, glass or ceramic tiles give the bedroom such a dramatic, high-end look! You can play with different tile colors to create dazzling wall art or opt for a contrasting shade to make your accent wall pop. Yes, glass and ceramic tiles will require professional installation but it’s a small job that can be completed in a few hours! Wall stencils and decals are similar to temporary wallpaper. These stick-on wall decors can be installed and removed with ease. The adhesive won’t leave any sticky or grimy residue on the walls. Most wall decals are reusable too. Since the wall stencils and decals are easy to remove, you can experiment with different designs whenever the mood strikes. 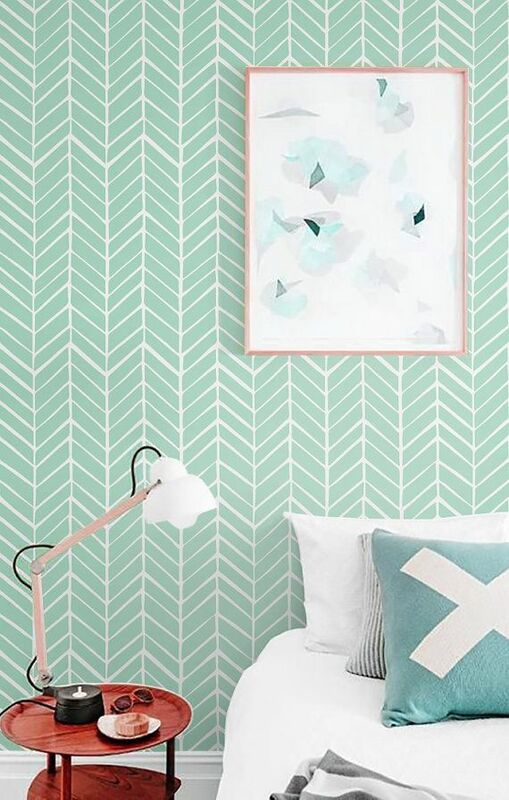 Wall stencils and decals are perfect for creating a graphic accent wall. They come in an array of colors and designs to choose from! You can also combine decals with textured moldings for a cool 3D effect. 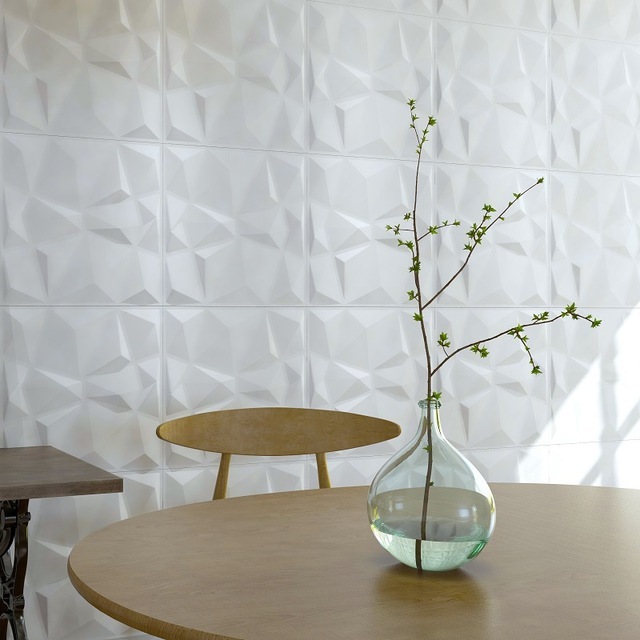 If you’d like to create a dynamic accent wall that truly catches the eye, why not use geometric concrete tiles? 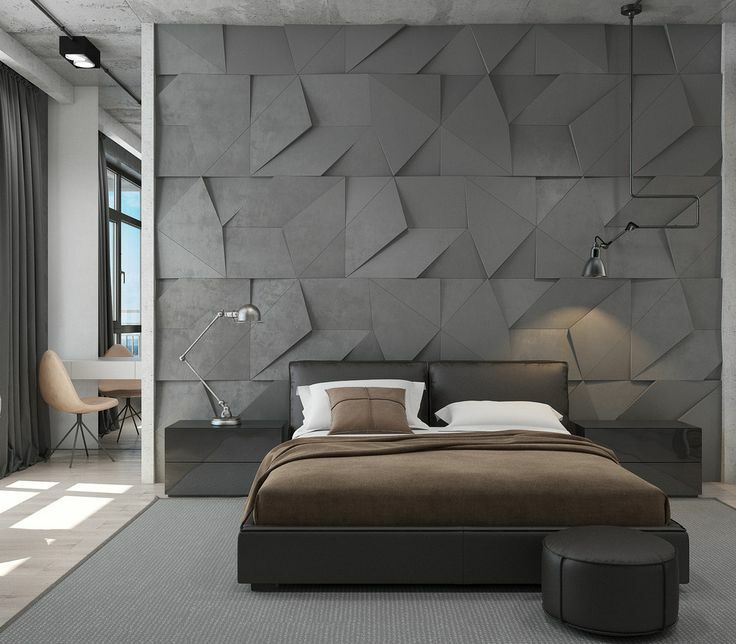 The textured surface of the tiles adds depth and character to the bedroom. Concrete tiles come in an array of patterns and shades, so there is something that’ll suit your space. You can go for dark tiles to pump up the drama or neutrals to define the room. You can also use a mix of different shades or patterns to create a striking composition! Set the mood with a stunning mural! This is a terrific idea for those who live and breathe art. 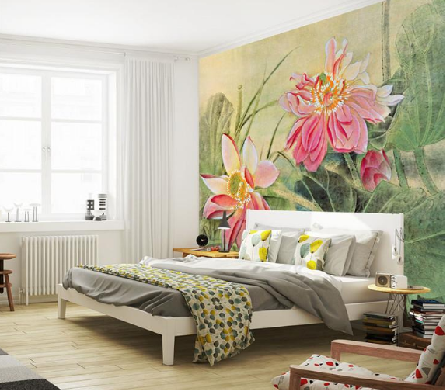 You can opt for an arboreal mural to add a pop of greenery to the bedroom. You don’t have to paint the walls to turn blank walls into a stunning artwork. 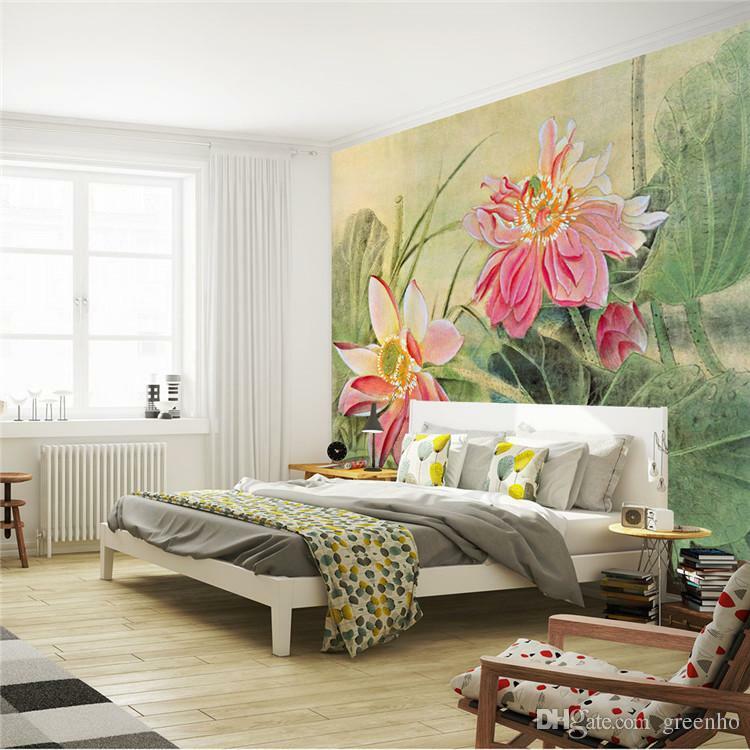 You can get a stick-on wall covering to personalize the bedroom or a customized 3D photo. Just choose a design that defines your style and go from there! 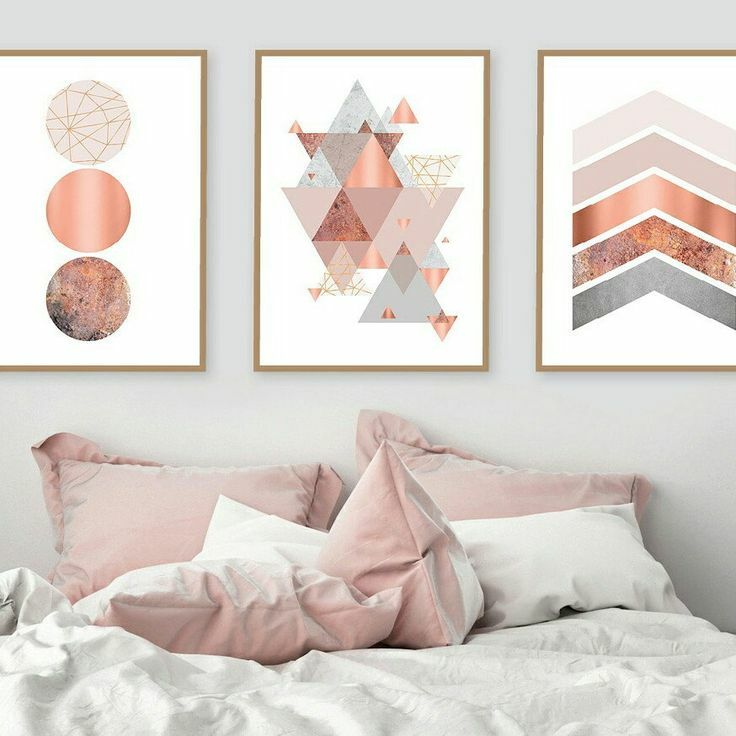 One of my favorite apartment interior design ideas for the bedroom is decorating with artworks. A blown-up photograph could be used as a focal point in the bedroom. Choose your favorite photograph and have it done in an oversized triptych. Just hang the set of artworks on the accent wall and you’re done! You can also use a sizable painting that covers a good portion of the wall to get the same effect.